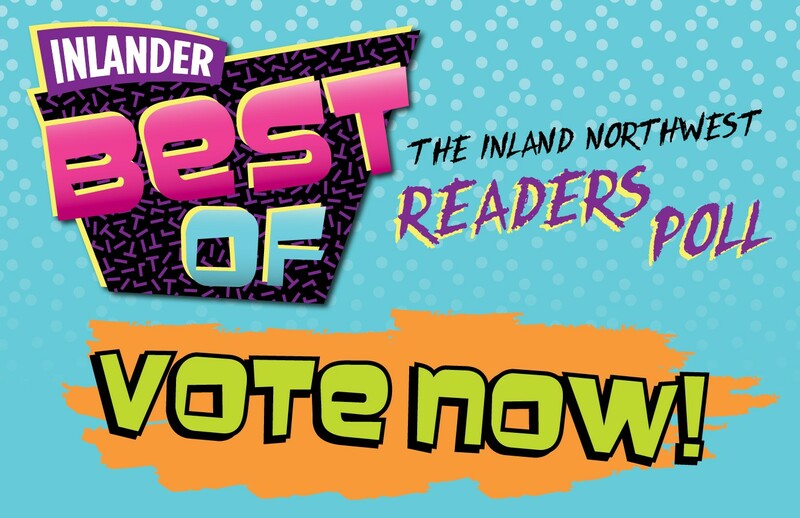 Voting for the Inlander's annual Best Of issue is now open — a poll that allows our readers to name their picks for the finest food, art, culture and shopping in the area. You can vote here, or look for a paper ballot in the Feb. 1 issue currently on newsstands. Is there a particular Spokane restaurant you consider a buried treasure? Think your favorite local band deserves some recognition? Wanna give a shout-out to the best play you saw last year? Now's your chance to make your opinion known. You have through Feb. 14 to participate, and the 2018 winners will be announced in our March 22 issue. For a taste of what folks chose last year, you can see 2017's results here. Speaking of Best Of 2018 , For Fun!